Welcome / Funny Blue is a very beautiful artwork by Veronique Joumard. 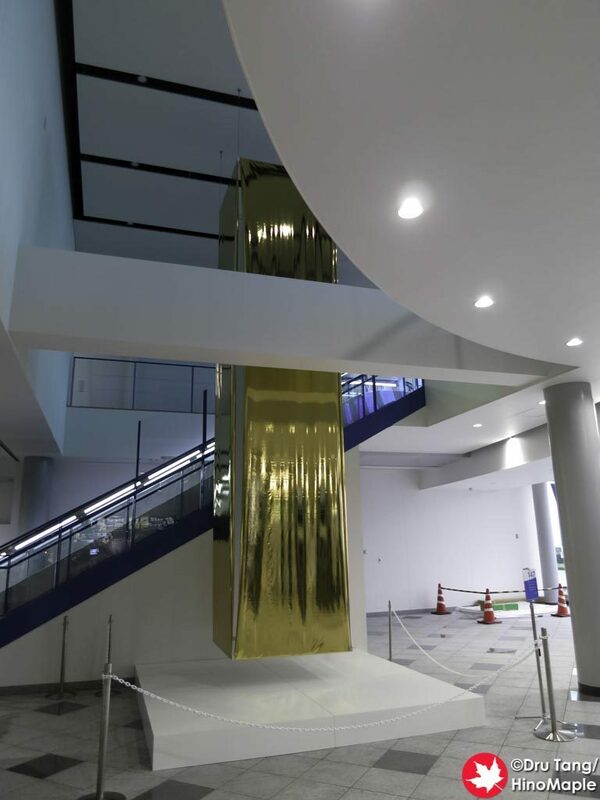 It is actually 2 artworks that make a single artwork located in Takamatsu Airport. 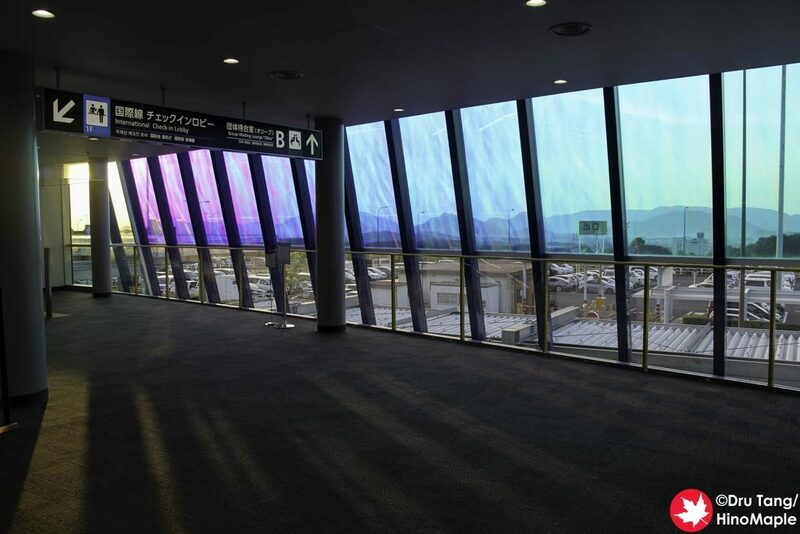 The airport may be hard for some people to visit but if you are flying in and out of Takamatsu it is a good reason to be at the airport earlier than usual. “Welcome” is the artwork most people will see. 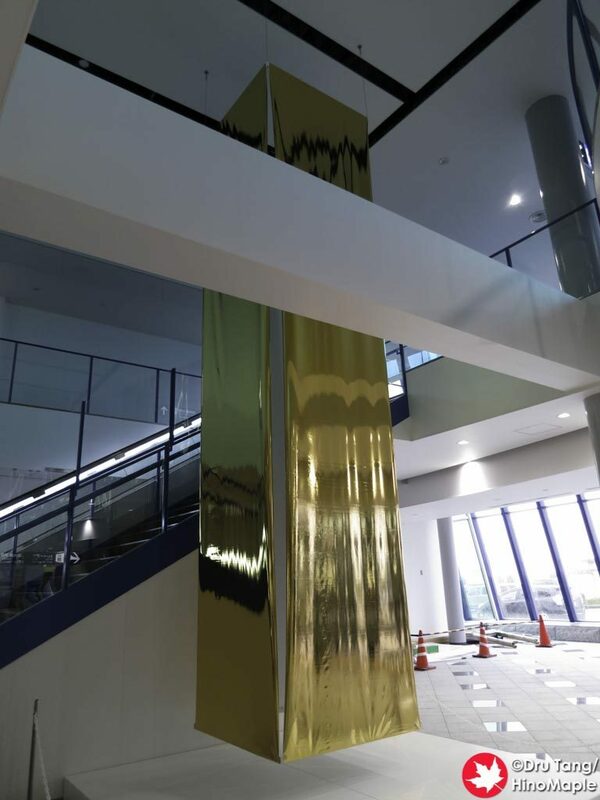 Located on the arrivals floor next to the international check-in area; “Welcome” is a simple column of gold. 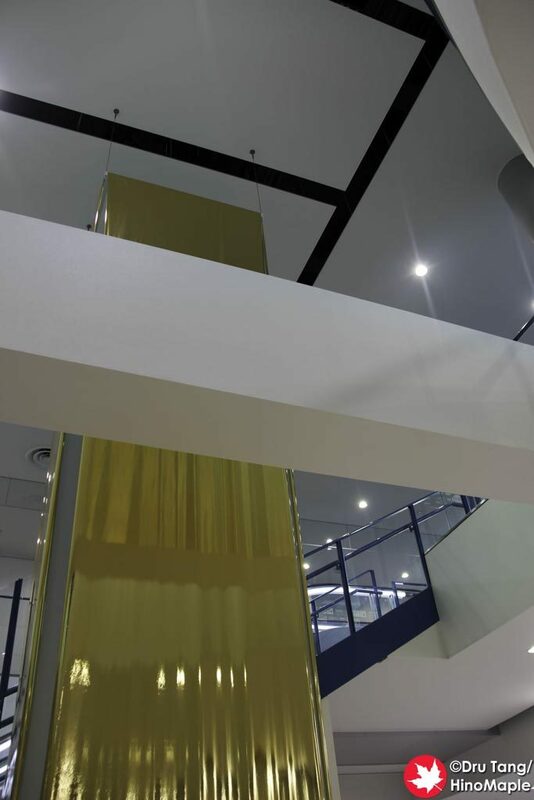 The column is made of fabric that is a very shiny gold. When I first saw it in 2013 I thought it was okay but in 2016 I really had time to enjoy it and it started to speak to me even more. I really liked the lines and how the fabric was pulled tight to remove as many ripples as possible. 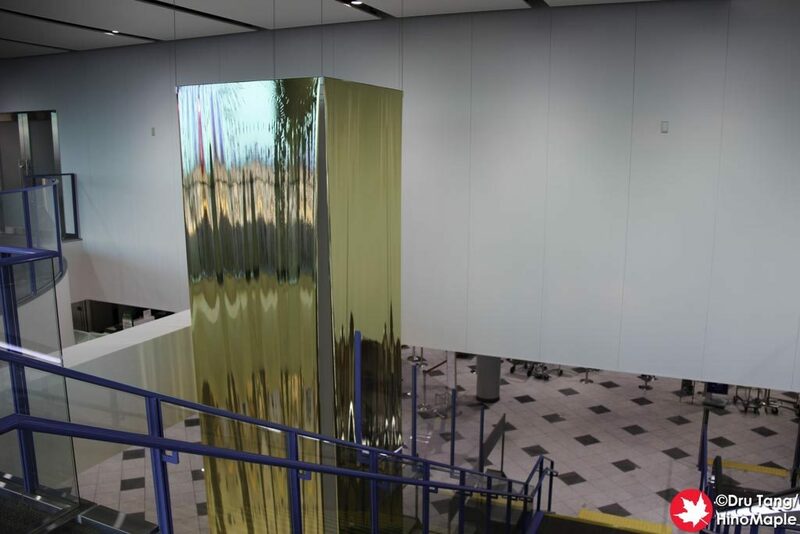 It does look like a solid gold brick in certain angles. Unfortunately this artwork is often overlooked as people usually don’t spend the time to enjoy it. It is also very difficult to photograph due to the support beams getting in the way. 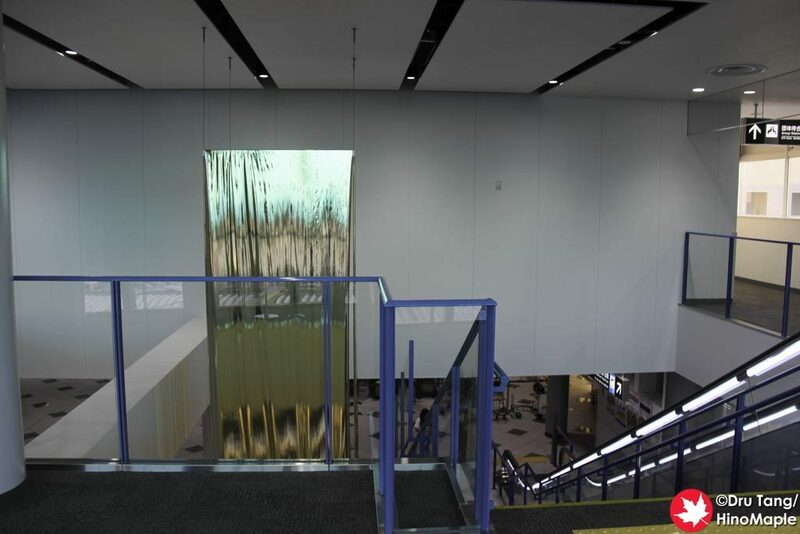 “Funny Blue” is a series of glass panels that have a blue film on top. 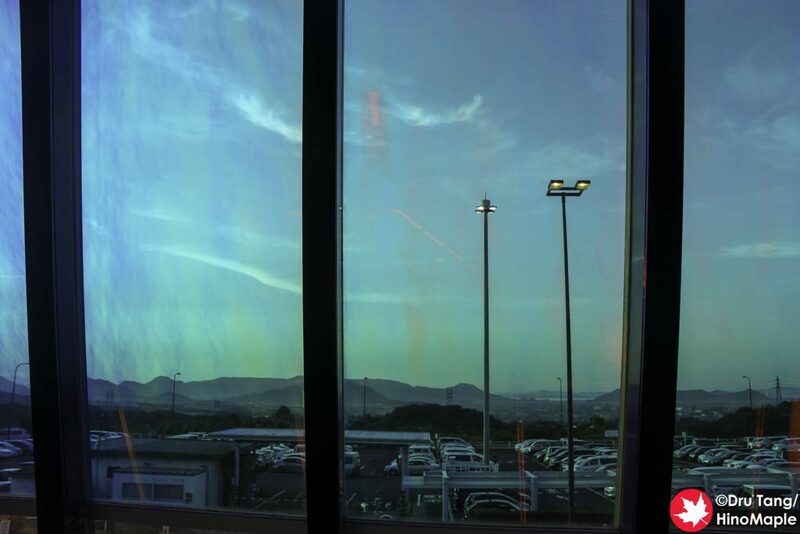 The film is actually a colour changing film and the colours change depending on the angle the light hits it. 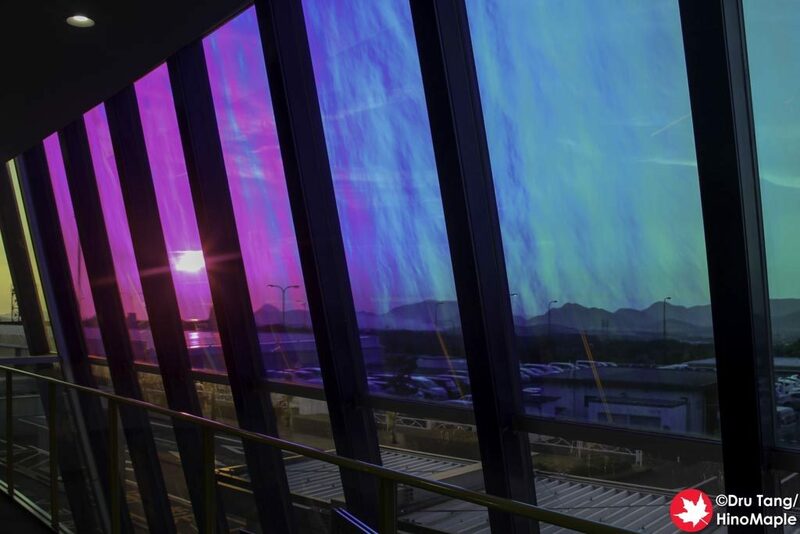 I was lucky to be at the airport during sunset and the effect was magnificent! I missed it in 2013 as I only spent a few minutes on my way to catch a bus but in 2016 I spent a good 20 minutes with this artwork. 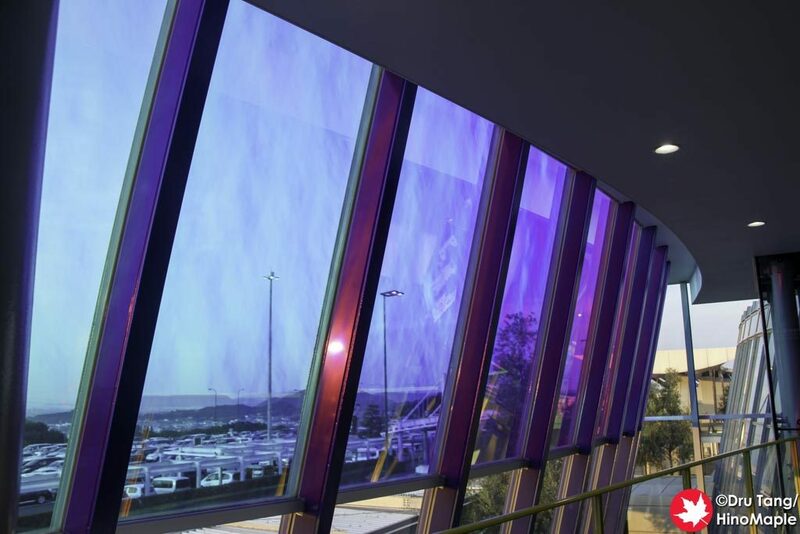 The various blue, green, and purple hues that come through the film was amazing and I really think you should spend time to see it at sunset. “Welcome / Funny Blue” is a wonderful artwork that is probably overlooked by many people. I doubt I would spend much time with it again in the future but the artwork is something that is like waving goodbye to say, see you later. 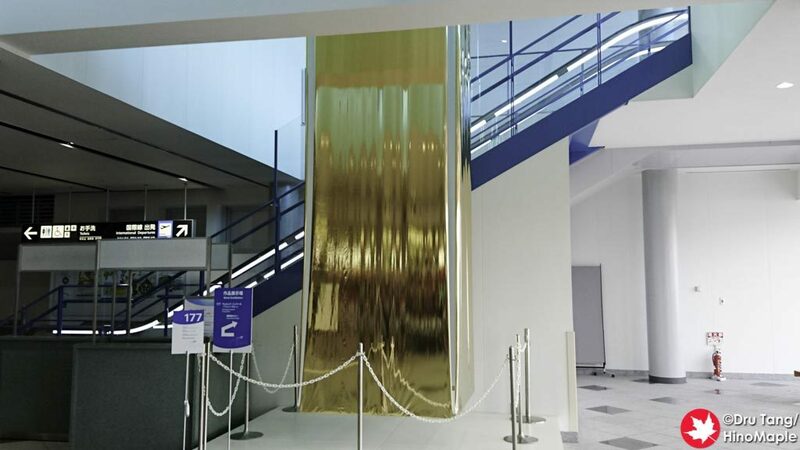 It was bittersweet to enjoy this last artwork before leaving Takamatsu in 2016 and if I leave via the airport I will definitely try to spend at least a couple minutes with it again. 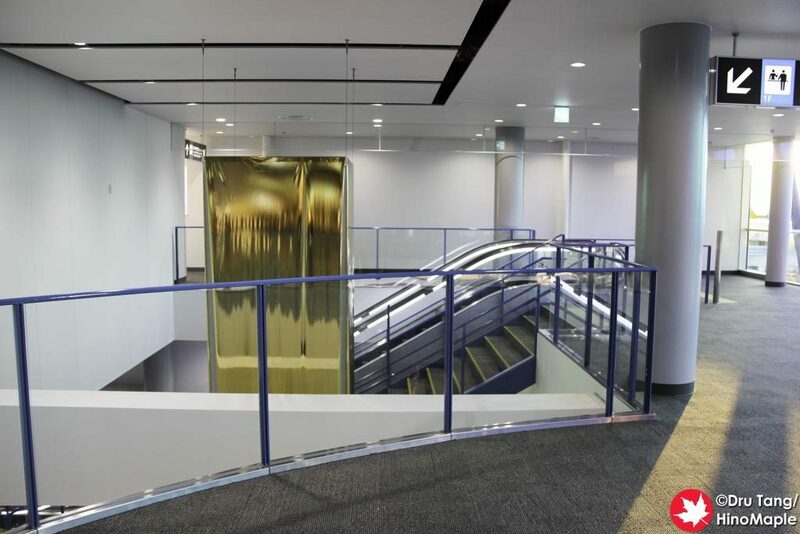 I can only wish they would do something similar with Takamatsu Station in 2019 as Takamatsu Station is a pretty boring way to leave the Setouchi Triennale. 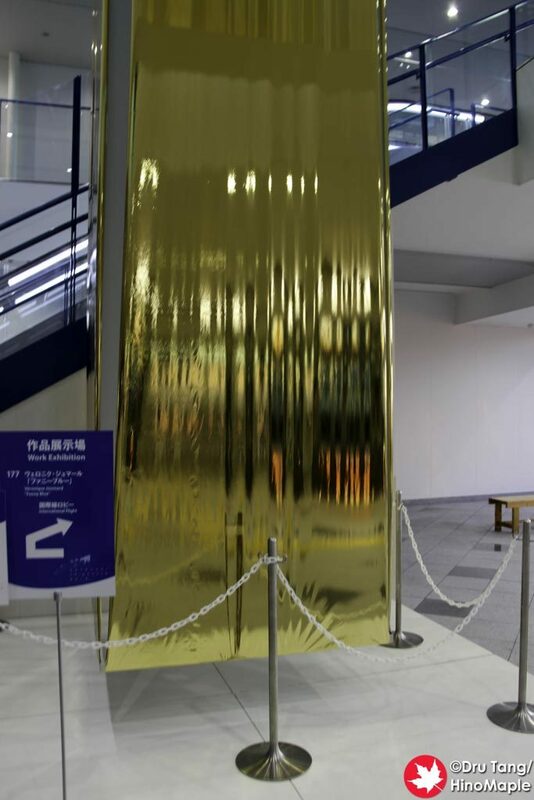 This entry was posted in Setouchi Triennale and tagged Funny Blue, japan, Takamatsu, Takamatsu Airport, Vernoique Joumard, Welcome, Welcome / Funny Blue by Dru. Bookmark the permalink.